As pc’s and smart phones become increasingly accessible so is the number of apps (abbreviation for application). Apps can help us with a wide range of lifestyle, education and work-related needs e.g. image editing, budgeting, health tracking and tutoring etc. There are even apps to assist people with mental health and neuro-developmental disorders such as ADHD. Apps specifically designed to assist adults with ADHD are a useful adjunct to behavioural strategies to address core issues such as organization, focus, memory and planning. It should be noted however that Apps are not a substitute for evidence-based treatment. 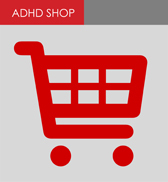 The website ADDitude Mag has a comprehensive list of ADHD apps to assist both adults and children with the specific needs. There is no perfect ADHD app but on the other hand some of these come pretty close. While they won’t erase your ADHD symptoms, if used wisely, some can seriously boost your productivity, organisation and sleep quality.